Phoenix Committee on Foreign Relations - Russia’s War with Ukraine: What is at stake for the West? Russia’s War with Ukraine: What is at stake for the West? PLEASE NOTE THE LOCATION OF THIS EVENT, AS THIS IS NOT OUR NORMAL VENUE. Join us a for discussion on Russia and the Ukraine with Ambassador Kurt Volker, who will join us via Skype, and Mark von Hagen of the Melikian Center. This discussion will center on NATO and U.S. policy toward Ukraine and Russia as well as what is happening in each country and Europe response. Kurt Volker is a leading expert in U.S. foreign and national security policy with some 30 years of experience in a variety of government academic, and private sector capacities. He serves as Executive Director of the McCain Institute for International Leadership, a part of Arizona State University based in Washington, DC. He is also a non-resident Senior Fellow at the Center for Transatlantic Relations at Johns Hopkins University’s School of Advanced International Studies, a Senior Advisor at the Atlantic Council, and a Trustee of IAU College in Aix-en-Provence, France. He is a consultant to international business, a member of the Board of Directors of Capital Guardian Funds Trust, and had previously served as Managing Director, International, for BGR Group. He has taught Transatlantic Relations at the George Washington University Elliott School of International Affairs. He was elected President of the International Association for Ukrainian Studies in 2002 and presided over the Congress in Donetsk in 2005. He also served as President of the Association for Slavic, East European, and Eurasian Studies (2009). He is a past member of the Council on Foreign Relations and an advisory board member at Human Rights Watch. 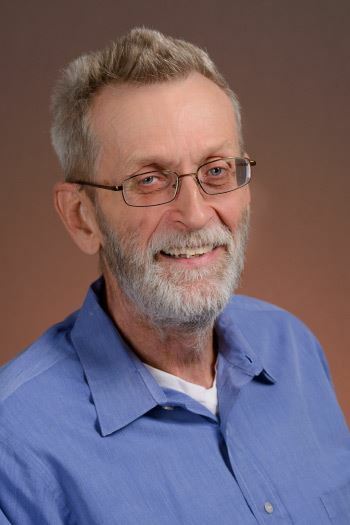 His publications include: Soldiers in the Proletarian Dictatorship: The Red Army and the Soviet State (Cornell); the volume co-edited with Andreas Kappeler, Zenon Kohut and Frank Sysyn, Culture, Nation, Identity: the Ukrainian-Russian Encounter, 1600-1945 (Toronto, 2003); War in a European Borderlands: Occupations and Occupation Plans in Galicia and Ukraine, 1914-1918 (University of Washington Press, 2007); the introduction to the co-edited volume, “The Entangled Eastern Front in the First World War,” in Empire and Nationalism at War, co-edited with Eric Lohr, Vera Tolz, and Alexander Semenov (Columbus, Ohio: Slavica Publishers, 2014), a volume in series Russia’s Great War and Revolution; Russian Empire: Space, People, Power, 1700-1930, co-edited volume (with Jane Burbank and Anatoly Remnev) (Indiana University Press, 2007); co-edited with Catherine Evtuov, Boris Gasparov, Alexander Ospovat, Kazan, Moscow, Saint Petersburg: Multiple Faces of the Russian Empire. (Moscow, ITS-Grant, 1997) co-edited with Karen Barkey, After Empire: Multiethnic Societies and Nation-Building: The Soviet Union and the Russian, Ottoman and Habsburg Empires. (Westview Press, 1997).